District judge Ken Anderson of Williamson County, Texas is now formally under investigation for his alleged role in a gross injustice as a prosecutor. It is an all-too-rare case where a former prosecutor is actually called to account for an injustice. In this case, an innocent man, Michael Morton (shown here), now 58, was wrongly convicted in 1987 for the murder of his wife. Prosecutors failed to turn over key evidence showing that his son clearly stated that it was not his father. Instead, they took a tragic murder of a mother and magnified it by incarcerating the grieving father. Anderson was later selected as “Prosecutor of the Year.” We previously discussed the case. 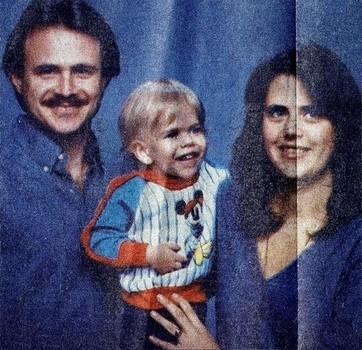 Christine Morton was found beaten to death in her bed in 1986. Police and prosecutors immediately focused on the husband and noted that he had left a note , Sheriff Boutwell was among the first at the scene. Mr. Morton has said that expressing disappointment that she had fallen asleep during a romantic interlude the night before. They did not seem to wonder why a killer would leave such a note if he had the wherewithal to commit the other acts of deception in the case. Morton sat in prison for 25 years before he was exonerated. In the meantime, Anderson enjoyed a successful career and became a judge. He was appointed to the bench by Gov. Rick Perry in 2001. While Anderson has “apologized,” he denies any wrongdoing. He insists that he did not know about the statement of the boy, which is curious since the boy was the eyewitness to the murder and said emphatically that it was not his father. It appears that the “painstaking preparation” did not include reading the account of the eyewitness in the case. Lead prosecuter denies he did not know the repeated statement his father was not the one, the lead wittness in the case. Who believes this and if it were so what does it say about the man. Thats a lie just like the hundreds if not thousands of people who are falsely jailed on lies from the forensic lab in Harris county that has been forgotten about. They would rather leave them there than bankrupt Houston. Professor Turley, Rather than relying on current prosecutors to “investigate” or “indict” a former prosecutor, what about investigation and indictment by We the People in a Grand Jury, sometimes called the 4th Branch of Government? And then, what about what Solicitor General Kagan wrote about a few years ago, a “Private Prosecutor”, so that a government lawyer – prosecutor does not “punt” the prosecution as a favor for a Bar buddy? God made rifles,,,,, for a reason. One bullet hole in the a hole of that prosecutor wont hurt Justice in Texas a bit..
God made life. Weapons take life away. Would God be divided against himself? Because you want to use a weapon in revenge means whatever weapon has already back fired on your soul. Some can not grasp nor admit that. Some swim in excrement and emerge smelling like the proverbial pig sty. But they neither see nor smell. In a just world, I agree that the prosecutor and everyone involved in the cover up would go to jail for 25 years. But we know that won’t happen. Re lawyers and like ilk, where would we be without ’em? Fine and dandy. But real physicists did that with reality and found that even particles seemed entangled. So finding ultimate causes in nature is not possible. Then they invented loops and have killed 35 years since then doing math. When do we get our next Einstein? Falling on your sword. How lovely! And only Malisha could say “Shame on him” with a straight face. Twenty five? I’d say life without parole. Those in “law enforcement” (judges, lawyers, pi…uh, cops) who break the law should get stiffer penalties for crimes than civilians. Idiots like Anderson are supposed to know better but instead do worse, they have authority and abuse it for personal gain. Anderson should prove he’s “acting in the public interest” and fall on his sword. I don’t care if that’s figuratively or literally, but he does not deserve to live freely ever again. The White House’s order to release classified documents came two days after 11 senators joined a growing chorus seeking information about the justification for targeted killings, especially of United States citizens. NYTimes top headline per email advice. I will name no names, but will repeat this link until it is graven in stone. Á question only: Does training as a lawyer eliminate certain functions in the brain or only just give the capability to filter and mold reality to fit the legal model? There are some on this blog that while claiming that we are controlled from above are unwilling to provide hard proof or speculations. That may be a choice or not. I wish for meat, not just good writing. They poo-poo the conspiracy theories of others, but provide no substitute at that level of complexity. Whether prosecutorial injustice is planned or not, it is part of our system today and has been since ????? And it is acknowledged and aided by the servants of justice at all levels. And of course by the graduates who become politicians, continuing their careers as arbitrary P/J/J and executioner.